2018: Pipes along the Kanawha funnel the John E. Amos Power Plant’s waste to a treatment facility. The plant has discharged arsenic, mercury, and other toxic heavy metals into waterways. Photo: New York Times. We have always prided ourselves on being not only the America of the strong and the America of the free, but America of the beautiful — today that beauty is in danger. But yet, despite insurmountable odds, we changed all of that. Somehow, through slow, hard work over decades, and without the benefits of the modern tools of communication, politicians, scientists, middle-class woman, young American, and conservationists simultaneously focused on environmental issues. And through their efforts, through Earth Day, they, we, changed the world. It was a profound change and one that almost 50 years later, as Adam Rome’s excellent book The Genius of Earth Day illustrates, still resonates throughout America. Politically, it led to the bi-partisan establishment of most of our environmental laws. From the creation of the EPA to the establishment of the Clean Air, Clean Water, and Endangered Species Acts, to the all-encompassing National Environmental Policy Act (NEPA), it led to the broad foundations of environmental law that protect the common interests of our country. At that time, and arguably today, these were not partisan issues. For who doesn’t want clean water to drink, clean air to breath, uncluttered landscapes, and countrysides in which to enjoy nature’s bounty? In the 1960s it was part of the “good life,” first espoused by President Kennedy as part of the good society and later Johnson’s “Great Society” on par with civil rights and the abolition of poverty. It happened because they imagined a better future. And perhaps because of epic battles over civil rights and the Vietnam war, environmental issues coalesced in 1970 to inspire Earth Day, an event that sparked a paradigm shift in America’s thinking about the environment. The effects were lasting and profound and spawned the first green generation. 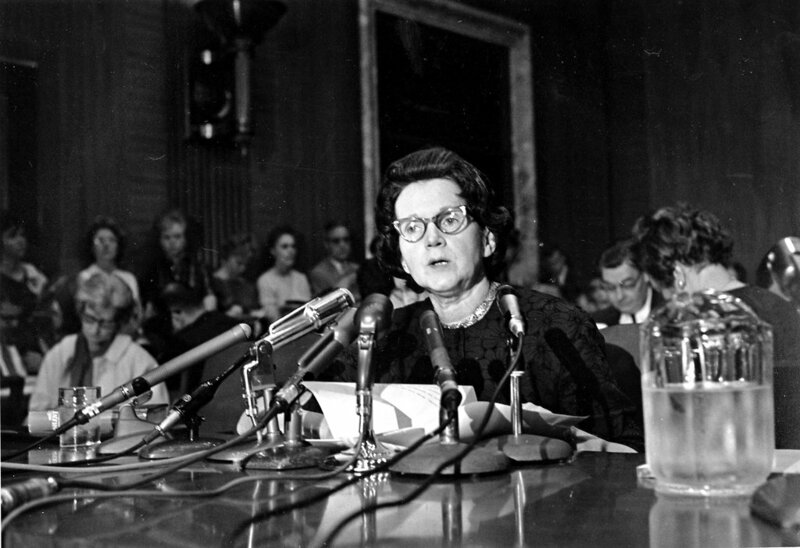 Universities added departments of ecology and environmental studies that inspired students into environmental activism and motivated faculty to address environmental concerns that exist to this day, including me; others were compelled to enter politics and effect change through state and federal policy; while yet others committed themselves to non-profits causes, filing lawsuits to stop environmentally damaging projects and advocated through public education to remember Rachel Carson’s — and others — calls for action against the chemical industry and nuclear fallout. Rachel Carson in 1951. Book Silent Spring woke the world to the dangers of chemicals on the environment. 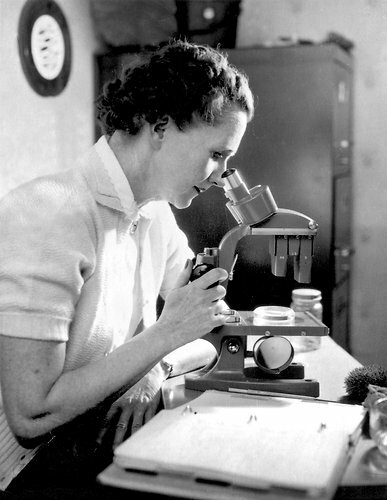 Rachel Carson testfiying before Congress, 1962. So today, close to 60 years later, I find myself paradoxically amazed that we struggle with the same issues. In many ways, we seem further from these goals than we were in the 1960s. How we lost the wisdom acquired during the history of our great country? Were our forebears more enlightened than ourselves? Are we that narrowly focused on making the rich richer in this country that we have forgotten what’s really important? No, I believe this is more a matter of form than substance. For our links and dependence on the natural world have not changed, only the players and priorities. And although many would link this with our current leadership and the increasing tribalism of our county, I don’t believe anyone doesn’t care about the natural world we all share. I can’t. For indeed, private income, no matter how big and widely distributed, still serves as only a foundation of American life. Many common resources — our air, our water, our national parks, still serve as common sources of basic health and enjoyment for us all, and always will be. Everyone should be able to go fishing and hunting; should be able to enjoy the fresh air we breathe and the clean water we drink; should enjoy biking and hiking into the wilderness. These are common goods, and there are no arguments about their importance to a healthy and happy life. Indeed, the only thing that has changed is the priorities and source of the problems. Today, we face air pollution of unprecedented magnitude but from unchecked forest fires resulting from long-term climate change. Although we still suffer from unclean water (Flint, Michigan is an example), and are suffering from the pesticide pollution of our past, we are also altering the temperature and chemistry of our oceans in unprecedented ways. Along temperate coasts, as the ocean warms and becomes more acidic, cold water species are disappearing and coastal fisheries are in peril due to urchin barrens and harmful algal blooms. These, of course, are just a few examples of the widespread problems on our planet. Red tides along Florida’s coast. August 2018. Source: Algae World News. Meanwhile, policy reversals are opening up parks, monuments, and previously protected areas to new levels of exploitation to special interests that threaten the common good. We are also removing protections from endangered species and NEPA which provide benefits to everyone. Are we looking at a future where only those with money can enjoy the splendors of our planet? Is that the justice we fought for in the 1960s? I don’t believe that. The New York Times recently ran a story that reminds us how far things have swung back in 2018. In California, farm workers suffer pesticide pollution that was in the process of being banned; in Texas coal-burning plants that were being phased out are once again belching sulfur dioxide across the state; in West Virginia, a “chemical valley” has been allowed to persist that discharges hundreds of pounds of heavy metals into the Kanawha River; and in North Dakota, natural gas fouls the air and leaks cancer-causing chemical into the ground. All of these represent regulatory roll-backs in the last few years that have specifically benefited polluters at the expense of the health of millions of people. Sound familiar? Aren’t these the very issues we fought for, and won, in the 60s and 70s that Earth Day personifies? Meanwhile, lack of a political consensus, driven by economic interests in a narrow sect of American society, are preventing long-term changes in carbon emissions and climate change linked by a broad scientific consensus that clearly the predicts the devastating effects of sea level rise and increasing frequency of destructive hurricanes. As powerful business interests successfully fight limitations on carbon emissions, many of us suffer from their actions from extreme storms, hurricanes, wildfires, and floods. Is this fair, is this justice? When we will wake up to the reality which people realized in the 1960s that most large corporations only care about their own bottom line, not those of the people? Students demanding climate action in a rally in Berlin, March 29, 2019. Momentum for a new Earth Day is building. ecotactics (e-ko tak’ tiks) n. pl. The science of arranging and maneuvering all available forces in action against enemies of the earth. However, despite heroic efforts on numerous fronts to address environmental issues in our current times, I believe we are falling short. This is not a critique of a lack of passion or drive or effort but from the fragmented nature of our approach relative to the scale of the problems we face. For if we have learned anything from Earth Day, as The Genius of Earth Day illustrates, that its global success was somewhat of an accident: it’s top-down and bottom-up genesis tapped key issues long-simmering in the hearts of average Americans. Earth Day mobilized homemakers that experienced their newfound freedoms in the era of Women’s rights and saw brown water in their sinks and used their powerful voices to protect their families, neighborhoods, and communities; politicians, that developed an agenda where the environment was an essential component of an affluent society; scientists that stepped out of their ivory towers to address problems facing our nation and inspired a new generation of curriculum and activism in our universities; the young who grew up with the joys of hunting, fishing, hiking, and camping while burgeoning suburbs ate away at their playgrounds in the fields and forests of their youth; and conservationists and their organizations that grew in scope and scale and focus as families flocked to the great outdoors in the prosperous post-war years. Not only did these groups eventually set the environmental agenda for the country but they educated the public about these issues and spread their message to Congress, PTAs, community halls, college campuses, scientific conferences, and to political leaders across the world. In fact, many of these same people became political leaders themselves and through their actions pursued major polluters and changed policies that exist today. Earth Day is now observed in 192 countries and is the largest secular holiday in the world, celebrated by more than a billion people every year. Despite that, it is evident that we need a new approach. We need a broad-based strategy that captures broad concerns, as we did in the 1960s. Back then people went up against major polluters and won; we created laws to protect common resources that were being subverted; scientists stepped up to the plate to inform policy makers to make sound decisions; the free press tested its limits by courageously standing up to big power. But then, like now, we all have a stake in the future of our environment; in the 1960s we realized these were our fundamental environmental rights. But nothing has changed. Back then, they built on the momentum of civil rights and the Vietnam war; now we have a pervasive, global, and transformative issue that is impacting our planet: climate change. What we face now is no less important and less urgent than we did in the 1960s. Now, we face a challenge of such magnitude and scale that it dwarfs (and includes) our early concerns about clean air and water, endangered species, and trash on the land and water. Now we are faced with no less than a slow, insidious extermination of many key ecosystems. So slow, perhaps, that most people are immune to seeing it for what it is: a planet-level extinction event. Coral reefs in American Samoa before, during and after a coral bleaching event. In 2016 bleaching destroyed 39-50% of the coral reefs on the Great Barrier Reef. From coral reefs to the polar seas, from dead zones to harmful algal blooms, from thundering wildfires to monster hurricanes, from rapidly rising seas to eroding shorelines, we are inextricably and irrevocably altering the future of our planet, one that will remain changed for millennia. One that our great-great-great-grandchildren will face and ask: Why do they do this to us? Where is the pristine and productive planet promised their generation? For although many still think of the “environment” as something external to our daily lives, with a massive disruption of our food supply system, we are all just days away from a major, lights-out, starvation-based, disease-driven future. All the energy powering your lights, computers, and cars, and all the food in the store under plastic and in cans and boxes still comes from the Earth. It is folly to think otherwise. Global Climate change is the biggest threat to the planet. So how do we move forward, how do we combat the largest threat our planet has ever faced? First, we must learn from the past and unite around the common challenge we face. Very importantly, we need to put partisanship aside and collaborate on maintaining a healthy world. For like it or not, we are just days away from our last meal, our last tank of gas, our last hike into the wilderness or camp at a park. Then, as now, our future depends on working together to defend the Earth from the few that make huge profits at the expense of the rest of us. It is time to stand up in a united voice and say “Stop! No more! ” as they did in 1970. I believe we can do it, for the people ultimately have all the power. We need to come together in what the Hawaiians call a Ho‘olōkahi — a coming together in harmony and unity of purpose — but now we need a collective action of epic proportions. A reminder of why our environmental past can’t become our future…..
Souder, William. 2012. On a Farther Shore: The Life and Legacy of Rachel Carson. Crown, 496 pp. Mitchell, John G. & Constance L. Stallings, editors. 1970. Ecotactics: The Sierra Club Handbook for Environmental Activists. Pocket Books, 288 pp. Rome, Adam, 2014. The Genius of Earth Day. Hill & Wang, 368 pp. Weiland, P.S. 1999. Amending the NEPA: federal environmental protection for the 21st Century. J. Land Use & Environmental Law. 12(2): 275-305.83.